HTC will let visitors to its Vive Ecosystem Conference try out 15 different apps for the Vive Focus Plus, including at least one game: a “Paintball VR” experience where the headset is paired with a haptic vest. But it describes the system as something for enterprise users, who will be able to buy it in 25 markets with support for 19 languages. The Vive Focus Plus, like the original Vive Focus, is based on Qualcomm’s Snapdragon 835 processor. 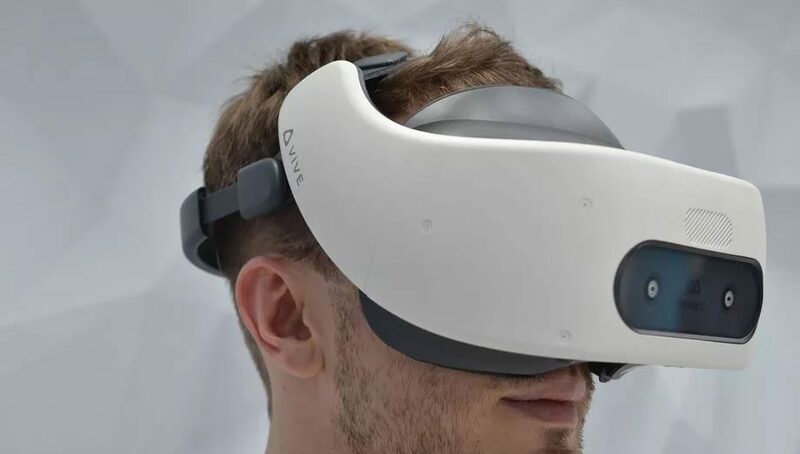 Its screen offers 1440 x 1600 pixels per eye, on par with the Oculus Quest and other newer headsets, although it’s more modest than something like the high-resolution HP Reverb. The Vive Focus and Focus Plus both use built-in cameras for inside-out tracking, so there are no wires or external cameras. I didn’t have a good experience with the Vive Focus Plus tracking system, which was shaky and unreliable during a demo — but that might have been a result of trying the headset at a crowded trade show. The original Focus shipped with a remote-style controller with a small range of motion. The Focus Plus comes with a pair of controllers that include full motion tracking — again, similar to the Oculus Quest. Those controllers add quite a bit to the original $599 price tag, which already costs more than many consumer headsets. (The Oculus Quest, for instance, will cost $399.) But HTC’s focus on making VR work for businesses might still help sell potential users on the headset. And I’m still waiting for HTC to offer more details on another headset: the somewhat mysterious Vive Cosmos. Interesting info, thanks and keep it coming.